Australia generates millions of used car tyres every year, some of which are recycled and others that are stockpiled. Further to this, sand mining is a practice that is fast becoming an ecological problem as the demand for sand is increasing. Sand is mined from beaches, inland dunes and dredged from ocean and river beds, leading to erosion and impacting local wildlife. The ideal solution is to recycle and reuse the components that make up tyres and at the same time, reduce the need for sand mining. 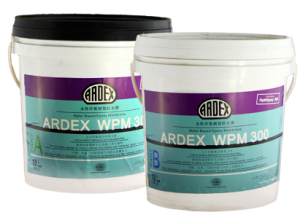 By doing so, ARDEX has not only recycled over 5 million tyres in its history in Australia, this currently equates to the recycling of over 250,000 used tyres per year, which also saves approximately 3500 tonnes of Australia’s sand per year.